It’s a splendid May afternoon and I’m gazing up at turrets and spires, relaxing in the courtyard of a castle. Inside, there’s a stark white cafe where I found a bitter and spicy cocktail that feels just right for the season. Sweeney infuses the aquavit with star anise for a few hours—a nice complement to the fennel note that dominates the spirit, and a nod to the absinthe that would usually be found in a Sazerac. Her Swedish riff on the New Orleans classic has ginger syrup for spice, and a spot of apple juice for balance and body. “It’s interesting,” she says, “if you look up aquavit cocktails, and you use a different one than they say, you’re going to have a whole different experience. It’s like gin in that way.” It’s true—even the few local aquavits on shelves right now offer wildly different profiles. 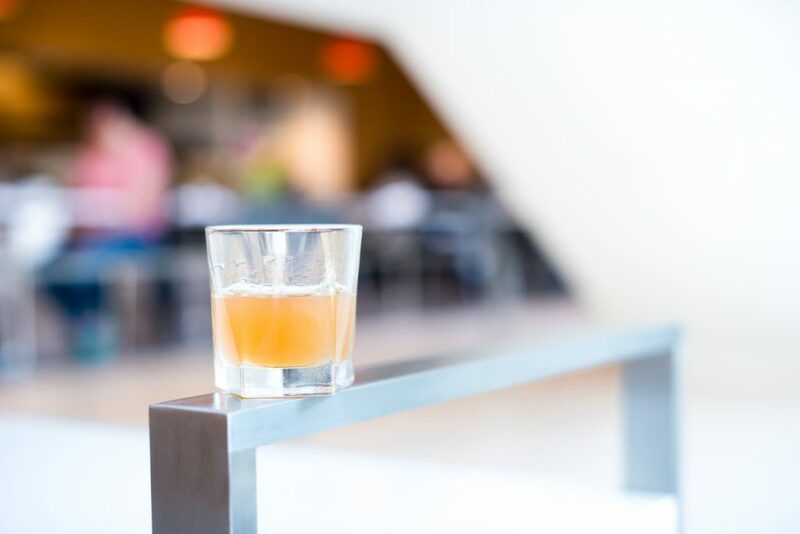 (See this month’s Spirits Close-Up: Aquavit). Of course you could mix this drink with a non-infused aquavit of any kind. Or you could just have Kara make it instead while you soak up the sun in style. Stir all ingredients in a mixing glass with ice, and strain into a lowball glass with no ice. Garnish with a lemon peel. Ginger Syrup: Run a couple large chunks of peeled ginger root through a juicer (or finely grate on a microplane if you don’t mind a little pulp in your syrup). 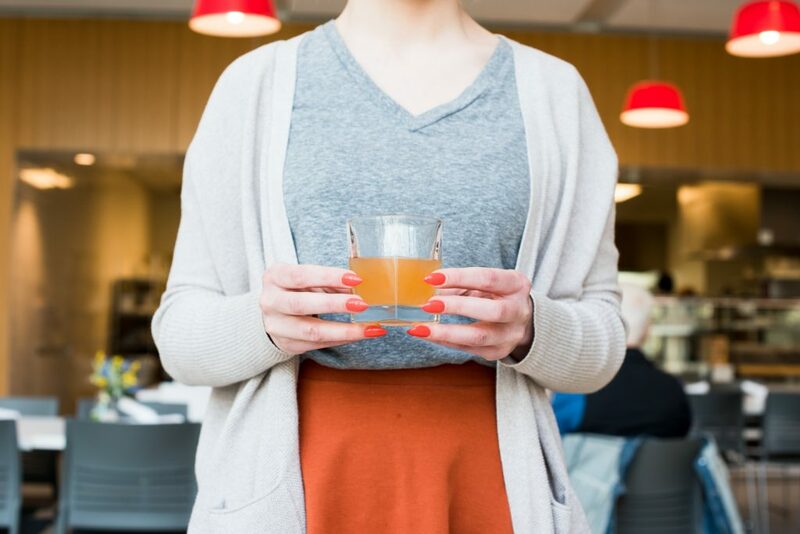 Measure your ginger juice and simmer with twice that volume of sugar until dissolved.